Horses can feel at home both indoors and outdoors. 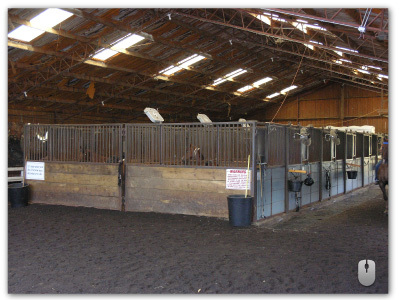 The 22 indoor stalls are shown below, and 9 outdoor paddocks are also available upon request. For more space, horses can be let out into the pasture and outdoor arena. You will feel right at home in one of our three guest rooms. 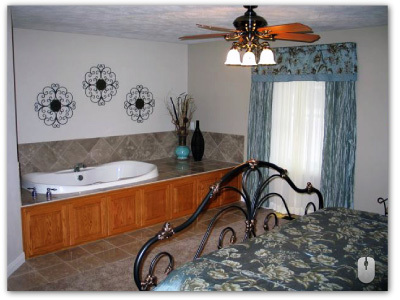 All have private bathrooms and jacuzzi tubs. Mouse-over the picture below to see two of the rooms.